An absolute stunning display of turquoise in a crocodile pattern. 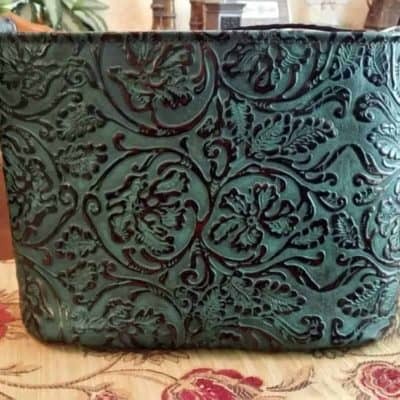 The color combinations in this embossed leather truly rival the best stones mother nature could create. Subtle color variations within the embossed pattern creates a style that is as sophisticated and as unique as you are. Strap comes in textured chocolate brown leather with white stitching, allowing this purse to truly take center stage. I just received my beautiful moonstruck leather purse in the mail today! And it is beautiful and exactly what I was looking for. After checking with a friend of mine who has one and getting helpful information from Beckie, I was able to make the right choice for me. 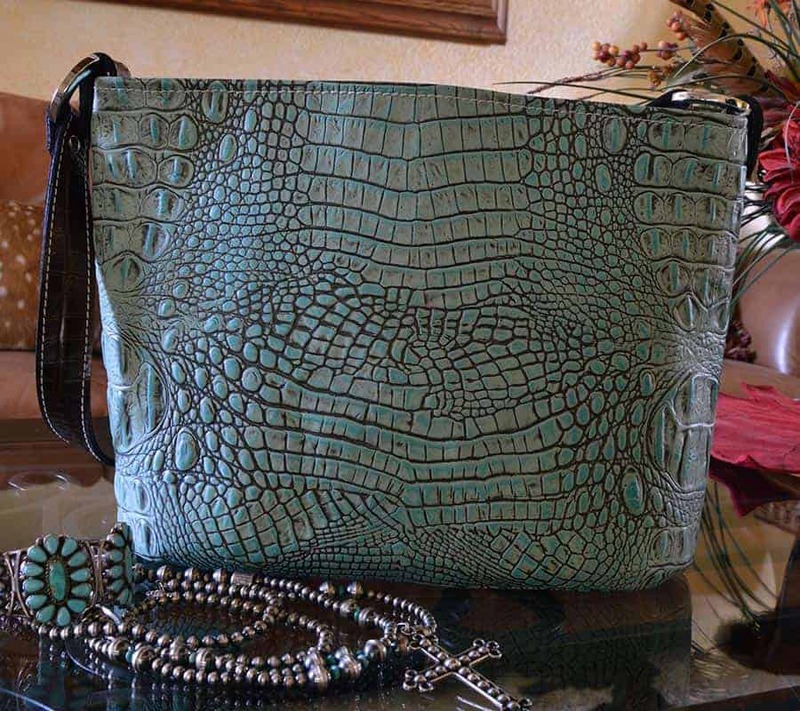 I got the classic tote, petite with an adjustable shoulder strap in the beautiful antiqued turquoise crocodile leather! 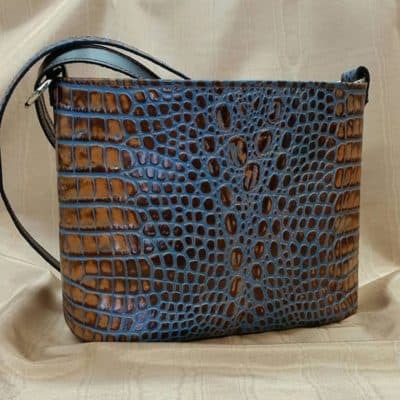 It is a beautifully made purse with beautiful leather and fabulous workmanship.1 The quality is wonderful and the ease of getting my handgun out of the gun pouch is spot on! 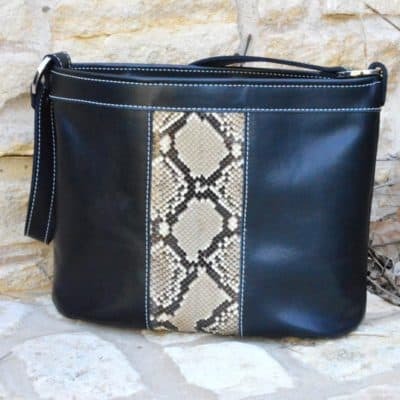 I would highly recommend Moonstruck leather concealed carry purses to anyone who is looking for not only a great concealed carry handbag, but also someone who wants a great looking purse that you would carry even if it wasn’t;t a concealed handgun purse. Love it and can see purchasing another one in one of the other beautiful colors in the future! as a member of the Diva organization, I will tell all of my Diva sisters about these beautiful handbags!